The choir currently consists of 19 adults and 8 children. The adults rehearse on Friday evenings from 7.00 to 8.15 with Michael Barlow, the Director of Music. The children’s choir, which also rehearses on Friday evenings, from 6.30 to 7.00, under the direction of Jean Pearch, is a new venture, and at the moment sings at Family Services only. We hope that in time the young choristers will join with the adults on a more frequent basis. The adults sing at the 10.30 service each Sunday and at Evensong on the first Sunday of the month – four times a year this is a full Choral Evensong, with “cathedral-style” repertoire, and on these occasions Michael brings in a few extra singers. There are important additional services during the year, such as the Advent and Christmas Carol Services and church festivals such as the Ascension, which require the choir’s attendance. The choir also sings at most weddings and funerals during the year. At Passiontide the choir sings an appropriate work (Stainer’s The Crucifixion, Wood’s St Mark Passion, Faure’s Requiem in recent years). 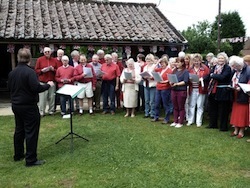 Each summer Michael takes the extended church choir (the John Fryth Singers) out for the day, to visit a place of interest and to sing Evensong in an historic church. So far, the Singers have sung at Dunstable Priory, Rye Parish Church, St Bartholomew-the-Great in Smithfield, London and Arundel Parish Church. In 2012 we will be going to Long Melford in Suffolk. New members, young and not-so-young, are always welcome. If interested, please contact Michael on 01883 715825 or michaelbarlow06@aol.com. Westerham Local Vocals, meets weekly on Wednesdays 8 – 9.30pm during term time. There is no audition and no need to read music. We sing Rock, pop, jazz, gospel and a cappella taught by ear. We love to perform (see Xmas 2015), but rehearsals are FUN. 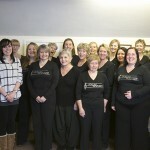 The Chart Singers was founded in Limpsfield Chart in February 2012. Open to all, there is no audition, and no singing experience is required. The aim is to sing for fun, and enjoy the benefits to health and wellbeing which singing can bring to people of any age. The choir meets on Tuesday evenings during term time, in Crockham Hill School Hall from 7.30 to 9.30 p.m.
Crockham Hill Youth Choir is a choir for children in and around Crockham Hill in Kent (including the surrounding towns and villages) aged between 6 and 16 to learn new songs and develop their vocal technique in a fun, relaxed environment led by a professional choir trainer. In their first year, the choir has already given five public performances. All ages and abilities are catered for, with opportunities for singing in harmony, music reading and solo singing for the more advanced. 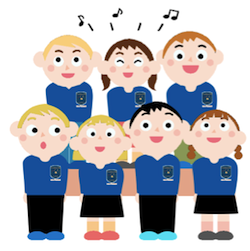 The primary aim of the choir is to have fun and enjoy singing. 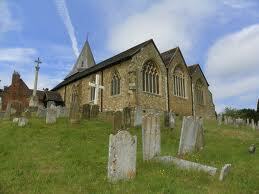 Currently, the choir runs on Saturdays, 11.30 – 12.45 normally in Crockham Hill Village Hall (when it is available). All enquiries for membership to Katy on 01732 866381 / 07906 806529 or email Katy or call Graham on 01732 866372 / 07976 221803 or email Graham. Please contact Graham or Katy to ensure you are kept in the loop for rehearsal dates. The hall is not always available, so times and venues may change. Parents / child carers are welcome to join in the singing at rehearsals. Location: Godstone “Endeavour” Scout Hut, Bay Path, Godstone Surrey, RH9 8DU. North Downs Community Orchestra is an orchestra open to all. We especially encourage those who haven’t played for a long while and those who are learning and would like to experience playing in a group. No auditions, no grade requirements – aged 18 + currently. It’s all for fun so come and have a go! 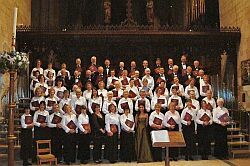 The Sevenoaks Philharmonic Society is a Sevenoaks based choir with approximately one hundred singers of all ages. We perform a very varied repertoire of music, both sacred and secular, together with The Sevenoaks Philharmonic Orchestra, under the music directorship of Robyn Sevastos. There are normally three concerts a year, in March/April, June and November/December in Sevenoaks, usually at St NicholasChurch and other venues in or around Sevenoaks. We rehearse at St Luke’s Church Hall, Eardley Road, Sevenoaks, on Tuesday evenings from 8 – 10 pm. If you would like to join us, please contact Margaret Day T: 01959 575752 for further details. A Sevenoaks based Choral choir seeking to achieve the highest possible standards of performance from the sung repertoire. The Cantate Choir was formed at the beginning of 2002 since when it has performed varied music programmes at venues in the Sevenoaks area. As a local amenity the choir aims to produce high quality work which gives it the opportunity to attract high calibre professionals to work alongside it. The choir was registered as a charity in 2004. Members of the choir are singers with some training and/or experience and admission is strictly by audition. To be considered to join the choir, or if you’d like further details of concerts, tel John Morris on 01732 810227. Rock ChoirTM offers children, teenagers and adults the opportunity to sing pop, Motown, gospel and chart songs, without the need to audition, read music, or have any previous singing experience – it’s the contemporary choir for people who love to sing. Members attend weekly rehearsals, learning a repertoire of upbeat and feel good songs, leading to performances at local and national events – many of which raise money for charity. There are now over 16,000 people of all ages and from all walks of life who experience the excitement, confidence building and emotional wellbeing of singing with Rock Choir. With over 260 rehearsals taking place each week in 186 towns across the UK, Rock Choir has been described in the national media as a ‘Nationwide Phenomenon’ and was recently the subject of a highly praised 3 part ITV1 documentary ‘The Choir That Rocks’. Visit www.rockchoir.com or telephone 01252 714276 for further details. The Sevenoaks Symphony Orchestra was founded in 1946, and is made up of local musicians, mainly amateurs or teachers of music, with a professional conductor, Darrell Davison and leader Catherine Smart. We are set up as a charity, and our aim is to make live orchestral music available locally, something much appreciated particularly by those who cannot readily get to concerts further afield. We don’t hold formal auditions, so if you are interested, why not come along to a rehearsal, or to one of our “repertoire evenings” when we play through music we are not rehearsing for a concert? We rehearse on Wednesday evenings at 8pm, generally during school term time, at the Sevenoaks County Primary School, Bradbourne Park Road, TN13 3LB. Free parking is available in the school grounds and near the school entrance in Bradbourne Park Road. Our three subscription concerts each year focus particularly on 19th and 20th century masterpieces which are attractive and enjoyable for our audiences, and at the same time interesting and challenging for us as players.In addition, once a year we present our very popular Family Concert, aimed particularly at children of primary school age, and in each alternate year we also team up with the Sevenoaks Philharmonic Choir for a joint concert. For further details ring Charles Hebert T 01732 464218. Regular Chamber Music Concerts in The Ship Theatre, Walthamstow Hall School, Sevenoaks.This season brings some more outstanding performers to Sevenoaks, both established artists and impressive newcomers, in an interesting series of programmes. A Season Ticket confers substantial discounts to concerts and discounts for occasional trips organised by the Club, to Glyndebourne, ENO etc. More information T 01732 451581. The Oxted & Limpsfield Music Society staged its first concert on St. Valentine’s Day, 1946, over 60 years ago. Its objective was and still is to bring to the area, at reasonable prices, music of the standard heard in London concert halls. The Society runs two types of activity: Club Evenings open to members only, and Concerts open to all. Both these activities are reasonably priced and represent a large saving on London and even Croydon ticket prices. Students only pay half-price and nothing for the friendly and welcoming atmosphere! Club evenings often feature performances by promising local groups. Concerts are mostly held in The Theatre at Hazlewood School and feature artists of International Standard.